Seymour Dunn, renowned Scottish golf pro and architect designed the Saranac Inn course in 1902. The 18 hole course was once part of The Saranac Inn, one of many Great Hotels in the Adirondacks before it burned in the 70s. 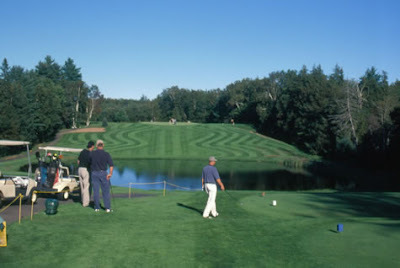 The 18 hole course, located across the street from Upper Saranac Lake is considered to be among the best maintained in the Northeast and especially the Adirondacks. The course is challenging with fast greens and was awarded Golf Digest Best Places to Play - "The best course in the Adirondacks is immaculately maintained with friendly service and spectacular greens, tees and fairways." The Inn also offers rentals, lessons and a driving range. To make a tee-time call (518) 891-1402.